A Chevy Suburban with nine people inside was reportedly headed northbound when it was struck by a Buick passenger car headed southbound. Officials don't yet know what caused the Buick to cross the center line. 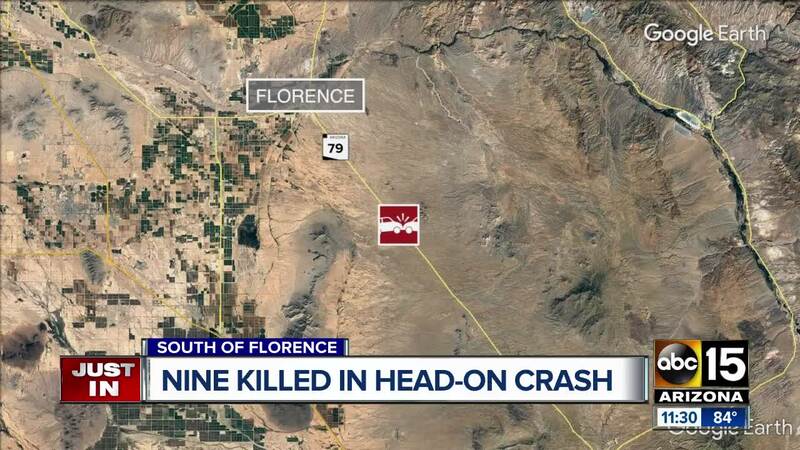 FLORENCE, Ariz. — Eight people were killed in a head-on crash near Florence on Wednesday night. According to the Arizona Department of Public Safety, two vehicles were involved in the two-car crash around 10 p.m. local time Wednesday along SR-79, south of Florence. The driver, front passenger, and four other passengers in the Suburban were killed. Three other passengers have serious to life-threatening injuries and are hospitalized. The driver and front passenger of the Buick were also killed in the crash. The driver and front-seat passenger of the Suburban were U.S. citizens, however, the other seven occupants are undocumented immigrants. The Department of Homeland Security is working to identify and notify next-of-kin. "You know, at first glance, it appears that it could be, but that’s not something for us to determine. We’re not the agency to determine if it was a smuggling attempt. 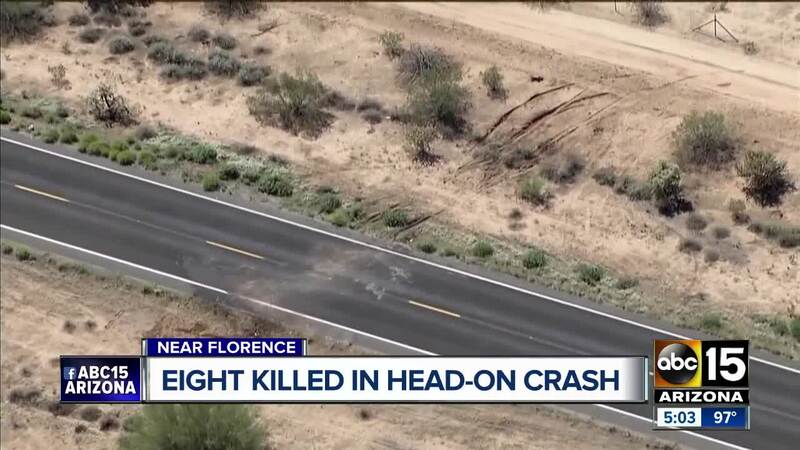 We’re focused on the facts of the actual collision and what happened," Trooper Kameron Lee, a public information officer with the Arizona Department of Public Safety, said. Both directions of SR-79 were shut down for several hours after the crash and reopened around 4 a.m. Thursday. 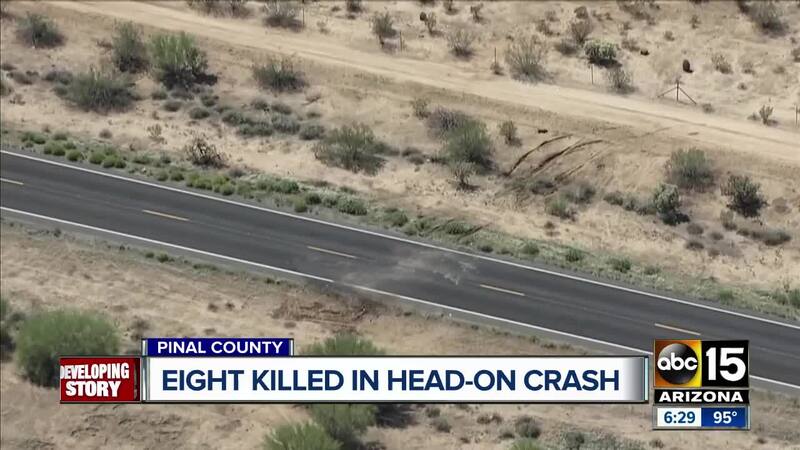 Editor's note: The Arizona Department of Public Safety originally reported nine deaths were involved in this crash, but have since updated their count to eight deaths and three individuals injured.